Dumping waste at sea might appear nothing but negative, causing pollution and threatening marine ecosystems. Ocean dumping has advantages, however, or people simply wouldn’t do it. Overall, the disadvantages are serious and long-term, and the advantages mostly relate to short-term profit margins. There is one long-term, environmental benefit for certain kinds of trash, however. The hazards of dumping toxic waste are obvious. The materials may immediately kill marine life, cause diseases over the long term or affect the ability of organisms to reproduce. Some of the materials legally permitted for ocean dumping, such as sediments dredged for boat ways, occur naturally. But sediments from riverbeds often have already accumulated high levels of pollutants from industry and agriculture. Once these materials are dumped at sea, the pollutants impact marine life, including commercially important fish. Organic materials such as sewage also consist of natural substances. The problem with these stems from an excess of nutrients, which leads to algal blooms and in turn ocean dead zones. Treatment can mitigate this to a certain extent. The dumping of hazardous chemical waste, radioactive waste, organic waste and general trash is tightly controlled in some countries but not all. 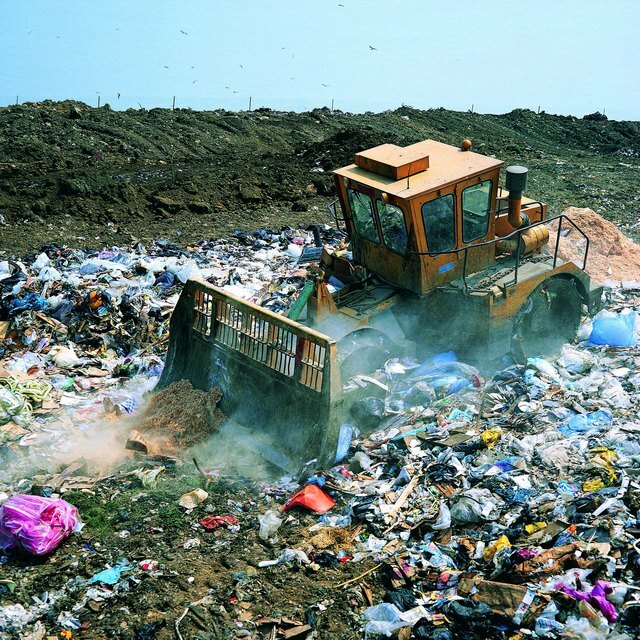 In the United States, for example, the dumping of hazardous waste is illegal, and other types of waste are subject to risk evaluation by the U.S. Environmental Protection Agency. The dumping of sewage sludge at sea is banned in the United States and the European Union but is legal in some other countries. Such regulations and restrictions mean that disposing of large amounts of waste at sea could lead to prosecution and possible fines. The main reason people and businesses dump at sea is that it is easy. For an individual, there may be little bureaucracy and no landfill fees to pay. Naturally, something being illegal doesn’t always prevent individuals or companies doing it, and the oceans are a difficult place to regulate. You might notice somebody dropping empty chemical barrels in a pristine local site, but somebody doing the same thing in the middle of a huge expanse of water is unlikely to be spotted. Chances are high that anybody violating local, national or international regulations simply won’t get caught. There are some items of trash that actually improve the marine environment. Artificial reefs provide a habitat for thousands of marine invertebrates and fish. Large items of trash, including old tires, decommissioned ships and car bodies, have all been strategically placed to create artificial reefs. In the right location, trash can enhance rather than damage marine ecosystems. U.S. Environmental Protection Agency: Ocean Dumping – What’s Allowed? Willson, Judith. "Advantages & Disadvantages of Ocean Dumping." Sciencing, https://sciencing.com/advantages-disadvantages-ocean-dumping-8166298.html. 24 April 2018.